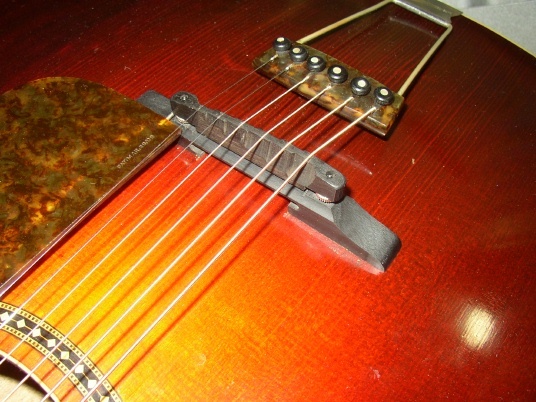 These truss rods are constructed with two cold finish steel rods and two brass blocks. Each rod is covered with heat shrink to minimize buzzing and rattling, and to allow for easier adjustment. We make trussrods for Mandolins, Mandolas, Guitars, Banjos and Bass Guitars. 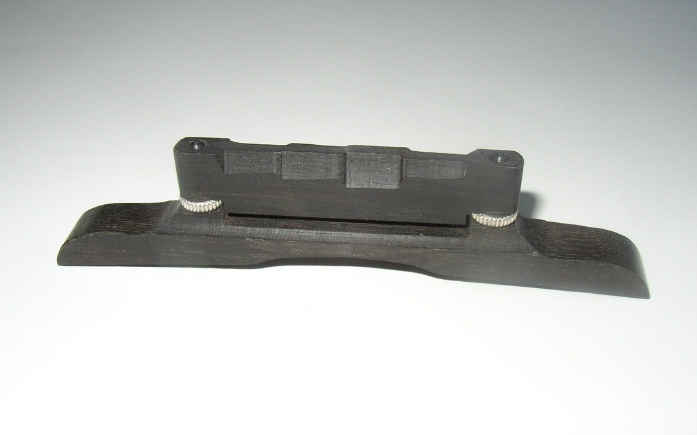 The Truss Rod shown in the picture has a block-to-block measurement of 7 1/4″ with 1″ out past the block, and a 1/8″ Allen Wrench End. All of the Truss Rods are measured from end-of-block to end-of-block. Cheers to you and your team!! Excellent work! I couldn't be happier with everything. Neck finish looks killer and playability is on another level! Truly inspiring. I cannot thank you enough. I cannot say enough good things about The X. It is infinitely playable, easy to look at and very pleasing to the ear. If I ever got any actual playing skill, I could probably take over the world with this thing. Thank You Sir. I have been lucky enough to spend some time at Steve’s shop playing several of his reso’s. Man these guitars are great. The construction is impeccable and the tone and volume are as good as it gets on the custom front. These guitars will surely be flooding the scene as soon as people get to hear them. I own a E model beard but my next purchase will be one of Steve’s guitars. If you get the chance don’t pass them up. 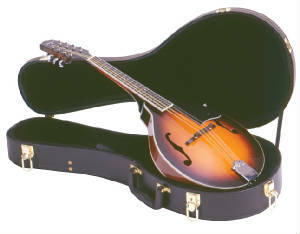 The mandolin came in yesterday and I just got it from the office today. This is an outstanding instrument. The sound is even more than I expected from the videos online. I haven’t gotten a chance to play it a whole lot but the more and more I play, the better I like it. You and your crew are very talented in this art and business you run at making great high quality instruments at a darn good price. Will report back after some much anticipated playing time. Have a good one. Traveler #25 is a masterpiece, truly the “Presidential Model.” It arrived safely via USPS, rested overnight, and awakened today. Where do I begin? The woods are beautiful, and the finish and binding bring out their character. It sparkles. The binding, by the way, is extraordinary. Gold hardware complements the woods and finish, and the scalloped tailpiece lends itself perfectly to the shape of the mandolin. It is an aesthetic celebration. The tone is phenomenal, and the low, easy setup allows me to bring out the tone as if the instrument were already played in, that’s how refined it is already. When you mentioned that it is very easy to play you understated it: the radiused fretboard and setup give it an effortless feel. I love the way that #25 nestles in my hand; I need to look to see that it’s really there. Traveler #25 embodies the Zen of mandolin playing, and you are the Zen Master. Thanks, Steve, for your creation. The little Traveler has arrived. Wow! It is so small for producing such a GREAT sound. I must say it leaves my Weber Y2K standing in the dust . I tried a couple of dozen different pick weights and materials till I adopted a couple that seem to work best with the Traveler and, as fortune would have it, my old Tone Guard fits her like a glove. Superb job Steve. The frets are quite nice. Top nut to tailpiece. She sings so sweetly. AND I believe you will find a niche with the celtic crowd as the Traveler just loves to play fast and Irish or Scottish. I am so glad I chose the satin finish and the gold clamshell tailpiece. It’s understated and elegant. I am highly happy and my wife likes it too. It was ‘the sound’ that originally drew us to the instrument. Now that I have one, it still is the sound. How wonderful. As we go along I will have some other requests. I’ll ask you about them later. Thank you for the gift and extra strings. Take care Steve and thanks again. Your friend Bruce.